Inspired by pinterest (yet again!) I made a felt mobile to add further decor and colour to my son’s bedroom. Strip the bark from the stick and sand, then cut to size. Drill small holes into the stick. You can either make a straight or crossed mobile using the stick as the frame. I used a single length of stick 50cm long and drilled 6 holes every 8cm (measuring in 5cm at each end to start). 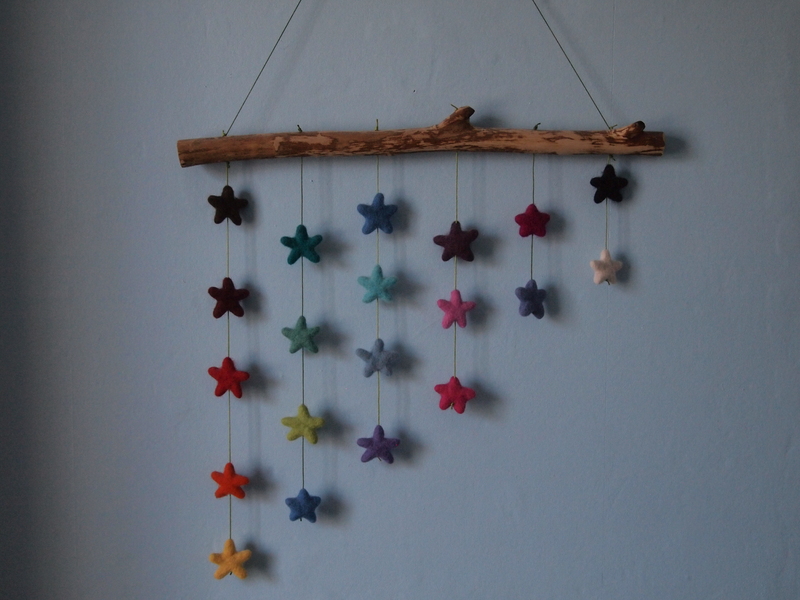 I used a needle to sew the stars onto the thread and pushed the thread through the holes drilled in the stick, tying the top and bottom to keep the thread and stars in place. I used different lengths of thread and amounts of stars on each of the 6 strands. 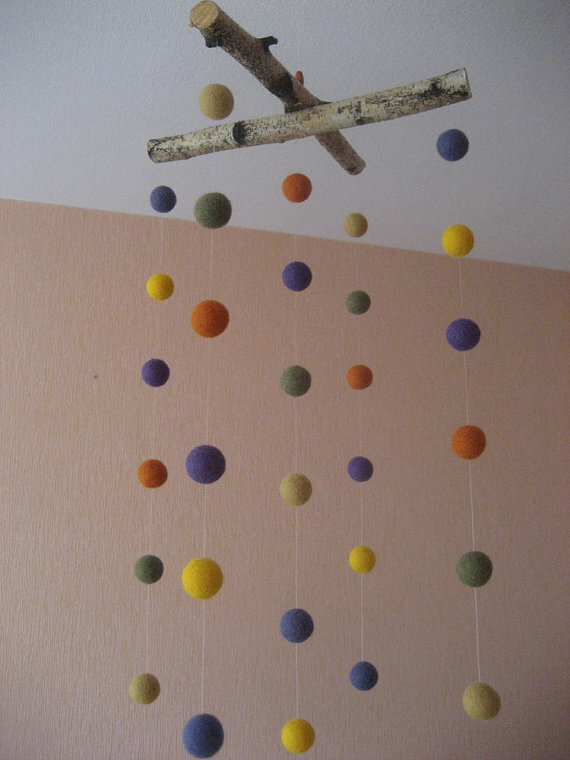 I also used one long length of thread pushed through the holes at either end, tying it underneath to hang the mobile. 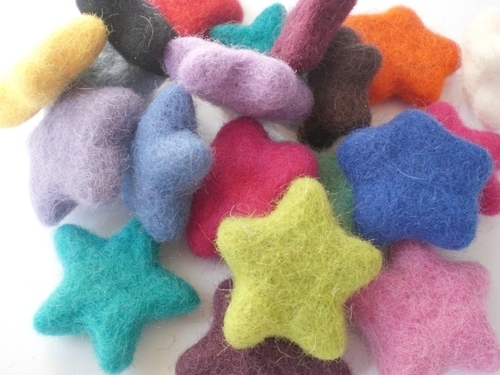 Gallery | This entry was posted in Design / Arts / Crafts and tagged Art, craft, Decor, Decoration, Felt, Felt Mobile, Mobile. Bookmark the permalink.